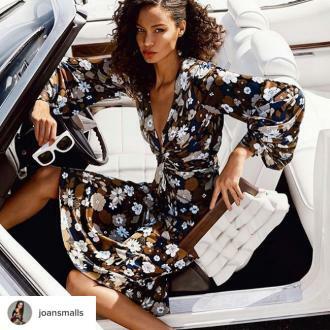 Joan Smalls' heritage has taught her the importance of standing ''up for yourself''. The 'Victoria's Secret' model says being both Puerto Rican and Black has given her a ''good mixture of spiciness and passion''. And the 29-year-old model prefers to have the status over money as it acts as a reminder that hard work pays off. Joan admits she is a very driven individual and always searches for ''more'' when it comes to her career. Through her job, Joan travels all around the world and experiences new countries and cultures but she insists Puerto Rico will always be her home.